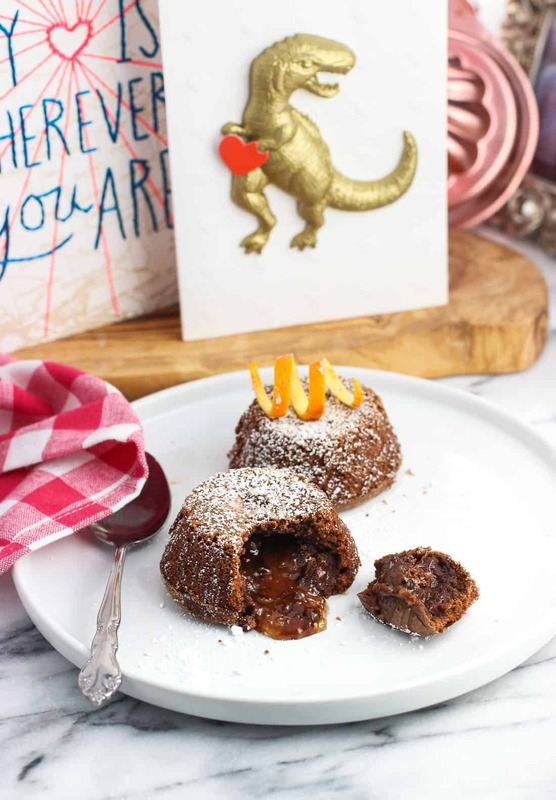 Mini Chocolate Orange Lava Cakes make a perfect date night dessert! 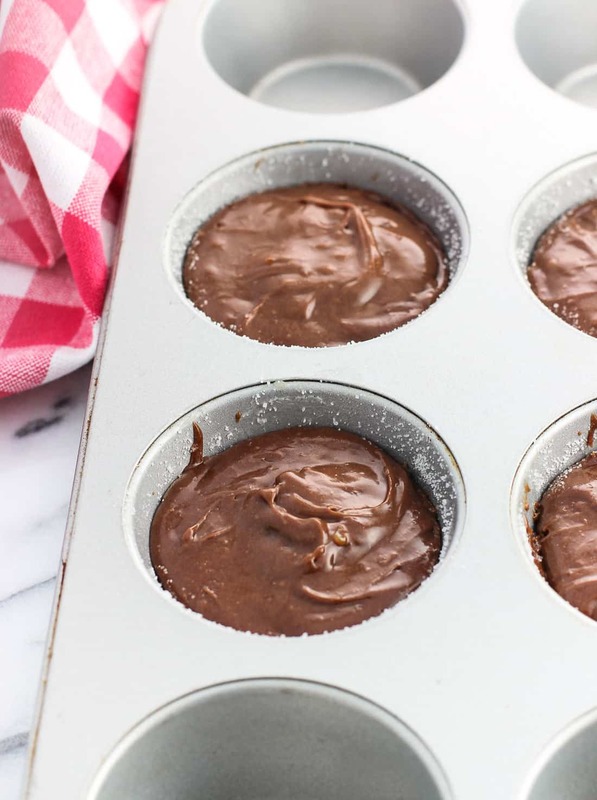 This smaller-batch recipe makes four mini lava cakes using a muffin tin – perfect for individual servings or for sharing. Once the end of the year holidays have come and gone, it’s easy to feel a little ho-hum about winter. For one, it’s COLD, and all that festive excitement has gone out the window. Then there’s the big emphasis on resolutions and being better, faster, and stronger with just about everything. Which is great and noble, don’t get me wrong, but trying to improve on multiple areas at once in line with society’s January rah-rah resolutions timeline just makes me anxious from the start. We’re also not big on exchanging gifts, but what we do exchange are cards. Sometimes we’ll do cards with heartfelt messages, sometimes cards that are goofy, but what’s a given is that we’ll find whatever it is we’re looking for with Hallmark. As this is our ninth (!) Valentine’s Day together, I’ve had plenty of experience searching out just the right cards that aren’t cheesy or overly sappy, and fit with our relationship. However all the guesswork is taken away with Hallmark Signature Cards at Walmart, which strike that balance between sweet and funny just right. They’re my go-to for a range of occasions, from birthdays to just because. You can find the newest collection of Hallmark Signature Cards for Valentine’s Day at Walmart, where I bought the two varieties you see above. Brian loved dinosaurs when he was little, so the T-Rex jumped out at me as a fun and goofy one to give. And then other one features a pretty, heartfelt stitched design that says it all — and just enough (the inside simply reads “LOVE YOU”). 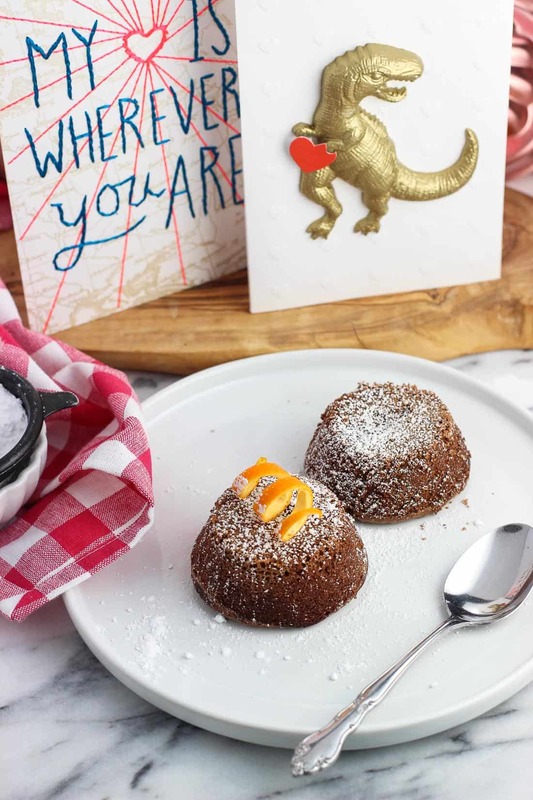 In addition to the perfect card, it’s easy to find everything else you need for your Valentine’s Day celebration at Walmart – like the ingredients for these mini chocolate orange lava cakes. Lava cakes are one of those restaurant-quality desserts that are surprisingly easy to make at home. This smaller-batch recipe makes just four mini lava cakes with the batter able to be made ahead of time, making it the perfect dessert for Valentine’s Day. 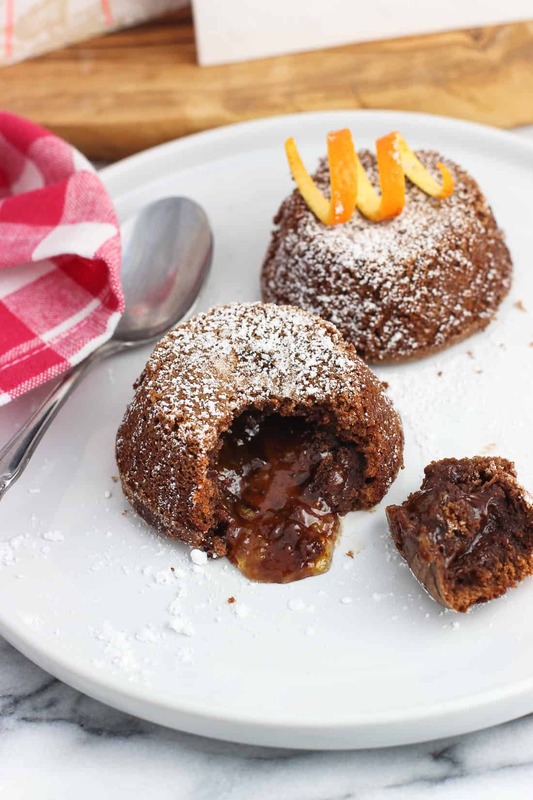 For starters, you won’t need any special pans for these chocolate orange lava cakes, just a standard-sized muffin tin. 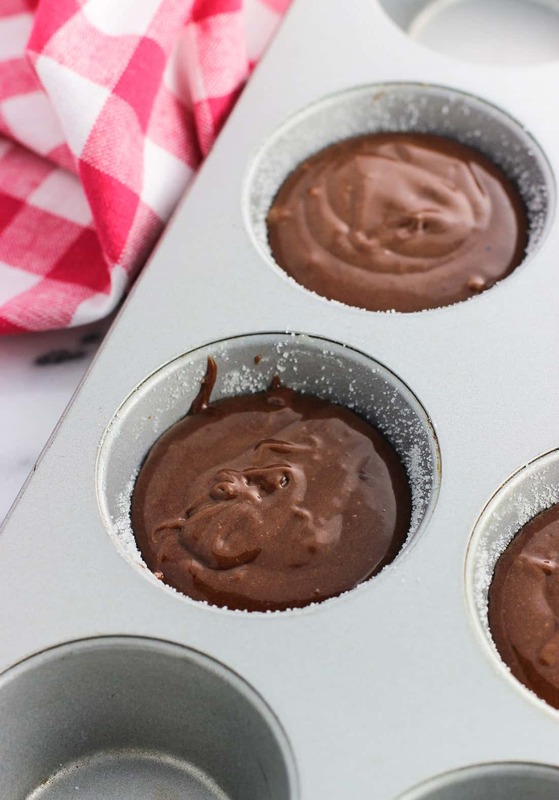 In order for the lava cakes to release relatively easily from the cups once baked, you’ll want to make sure that the four muffin cups you’ll be using are greased generously with unsalted butter. Then sprinkle a little bit of granulated sugar in each. Tip: Since you’ll be loosening the edges of the lava cakes and then inverting them onto a plate for serving, choose muffin cups that are two-by-two, rather than four in a straight line. This way it’ll be easier for you to center a plate over the lava cakes when inverting. 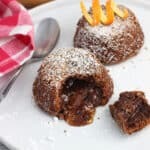 The ingredients required for these chocolate orange lava cakes are pretty straight forward, but produce a perfectly cooked cake exterior and smooth and luscious molten center once done. 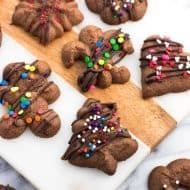 Butter and chocolate chips are melted together, then mixed with flour, confectioners’ sugar, espresso powder, an egg plus one egg yolk, and vanilla extract. The instant espresso powder doesn’t add a coffee flavor, but rather amplifies the taste of the chocolate wonderfully. If you don’t drink/use coffee or simply don’t have it (it’s found in the coffee aisle), you can omit it here. Just be sure to allow the melted butter/chocolate mixture to cool for five to ten minutes once it’s off the stovetop. 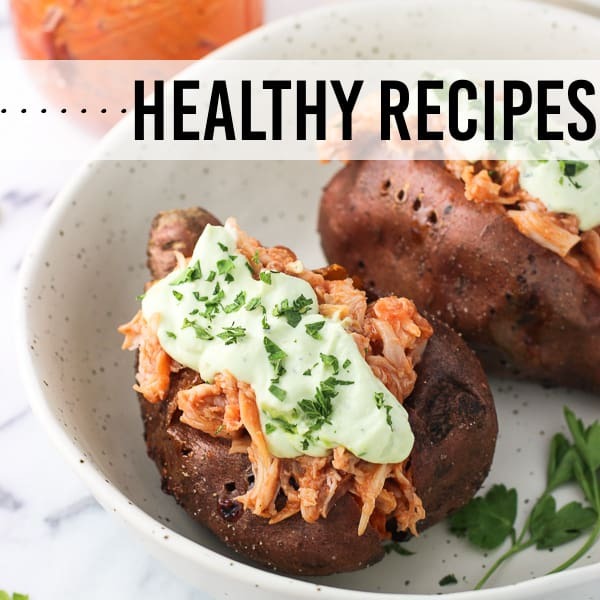 Since the egg and egg yolk will be cold from the refrigerator, you run the risk of partially cooking bits of the egg by adding a hot mixture directly to it. Letting it cool slightly, along with slowly drizzling it into the rest of the ingredients while whisking helps prevent that from happening. All that’s left is to add the batter to the muffin cups and spoon two teaspoons of orange marmalade over top of each one. 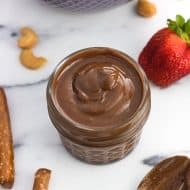 The marmalade brings sweetness as well as the perfect amount of citrus flavor, which forms with the molten chocolate to result in a seriously decadent-tasting treat. Besides the flavor, it has a great consistency to be used here as it can be worked into each lava cake with the back of a spoon, then covered completely with the lava cake batter from around the sides. It’s also not too thin that it will bubble out while they bake. My lava cakes baked for exactly eleven minutes, but keep a close eye on them towards the end of the baking time in case your oven behaves a little differently than mine. 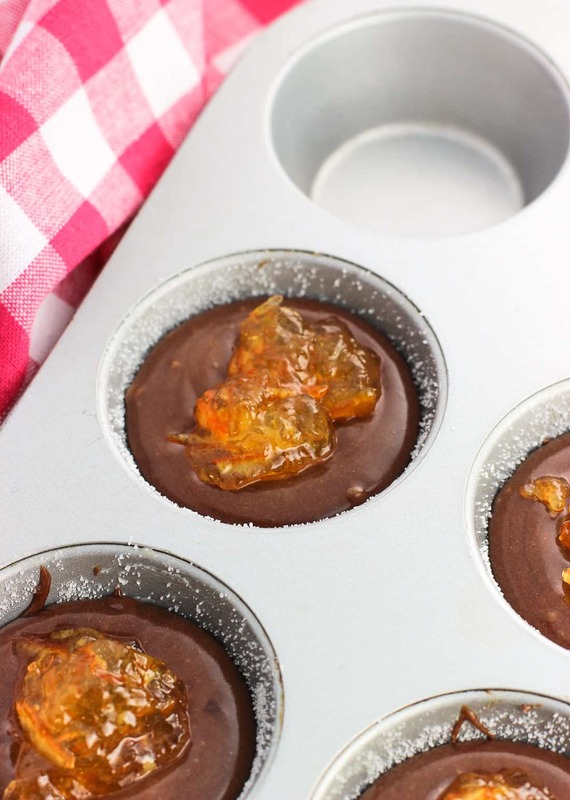 The chocolate orange lava cakes will rise up a bit as they bake, with the tops becoming slightly firm. You’ll see the outer edges brown and begin to appear slightly cracked and dry – that’s a good thing. Once they’re done, let them sit for five minutes to rest. I used that time to make a few simple orange twist garnishes, though they’re just for show. If you’re interested, slice a thin round from an orange, and carefully trim just the rind from the edge so you’re left with a thin strip of rind. Slice away any excess pith, then twist the peel into a tight spiral shape. 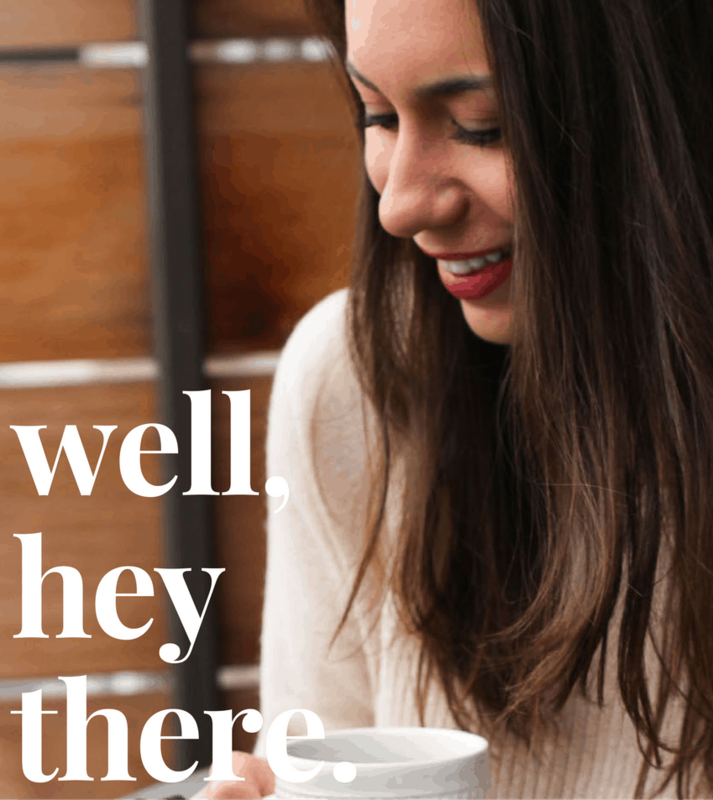 Hold it in place for ten seconds or so and release – there’s your spiral! Oh! And don’t forget any of your loved ones this Valentine’s Day. 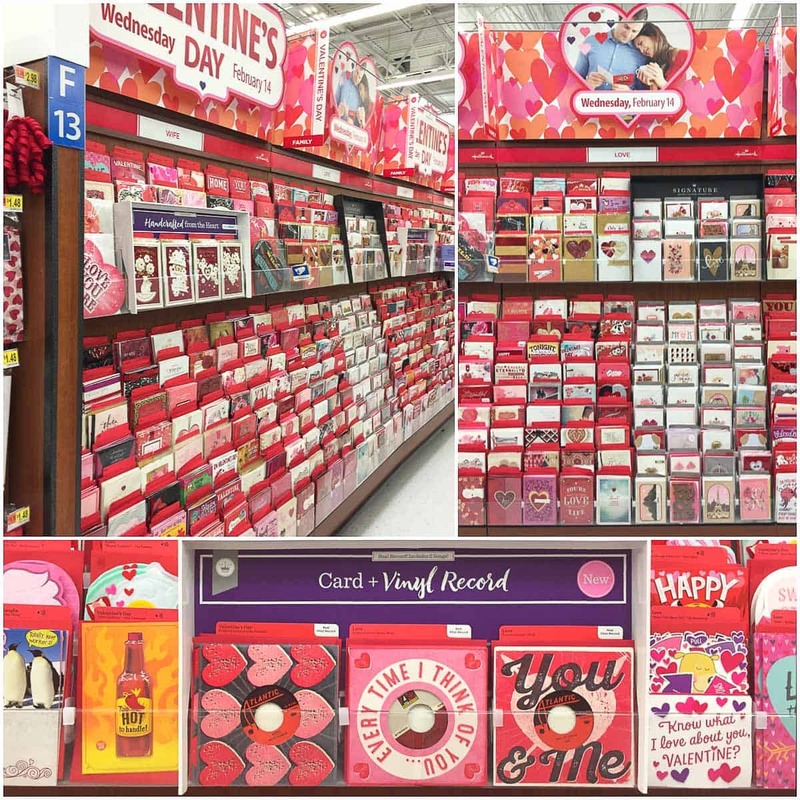 While shopping at Walmart, you can earn $1 back on any Hallmark Valentine’s Day Cards priced $2.97 and above through Ibotta at Walmart, available 1/29 through 2/14 or while supplies last. There is also an in-store coupon at Walmart for $2 off 3 Hallmark Valentine’s Day Cards so you can save more! 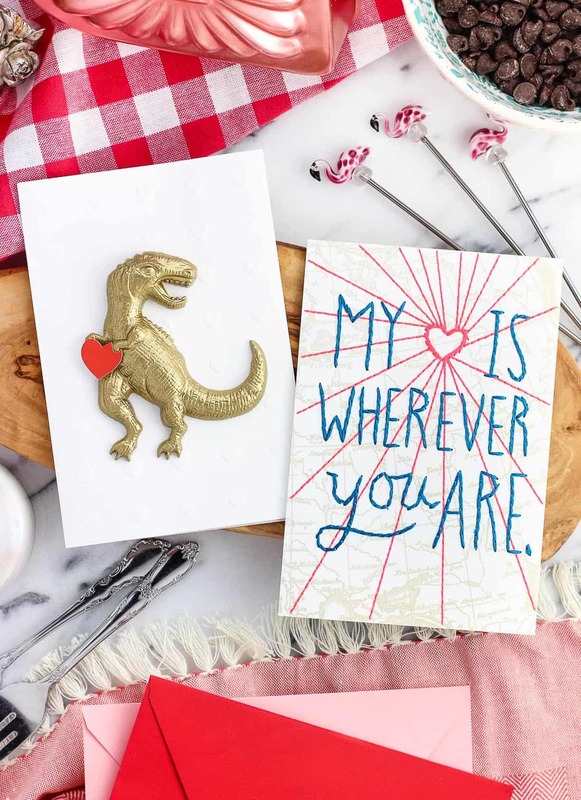 Make sure to check out the Hallmark Valentine’s Day Hub for more inspiration and to find a store near you! Preheat oven to 400°F. Butter four standard-sized muffin cups generously, preferably ones two by two (see note). 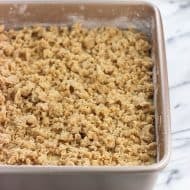 Sprinkle granulated sugar in each of the buttered cups, tilting the muffin tin so that the bottom and sides of each cup are evenly coated. Set aside. Add butter and chocolate chips to a small saucepan set over low-medium heat. 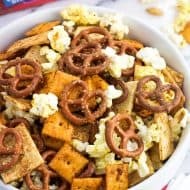 Melt, stirring frequently, until mixture is combined and smooth. Remove saucepan from the heat and let cool slightly, for about 5-10 minutes. 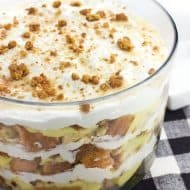 Meanwhile, whisk together flour, confectioners' sugar, instant espresso powder, egg, egg yolk, and vanilla extract in a bowl until combined and smooth. Once the melted butter/chocolate mixture has cooled slightly, pour it into the bowl with the other ingredients and whisk until combined. Divide batter evenly between the four prepared muffin cups. I used a 2-tbsp capacity cookie scoop to make this part less messy. Add 2 tsp of orange marmalade to the center of each lava cake. The marmalade should sit on the surface fairly well. Using the back of a small spoon, press the marmalade into the center of each lava cake. Carefully smooth the batter from the sides over top of the marmalade to encase it. The marmalade should be just about fully covered. Bake for 11-12 minutes, or until the tops have mostly set and the edges appear "cracked" and dry. The centers may appear sunken in slightly due to the marmalade. Remove muffin tin from the oven and let sit for 5 minutes. Using a sharp knife, carefully loosen the edges of the lava cakes, then invert onto a plate. 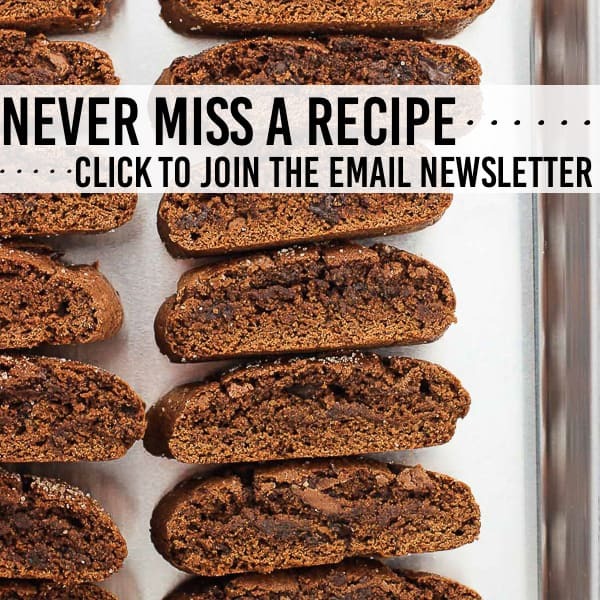 Sprinkle with confectioners' sugar (if you like) and serve immediately. Use muffin cups that are two-by-two rather than four in a straight line as it'll be easier to center a plate over them for inverting. 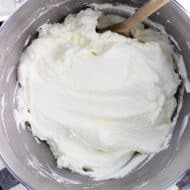 The batter can be made ahead through step #4 and then refrigerated. 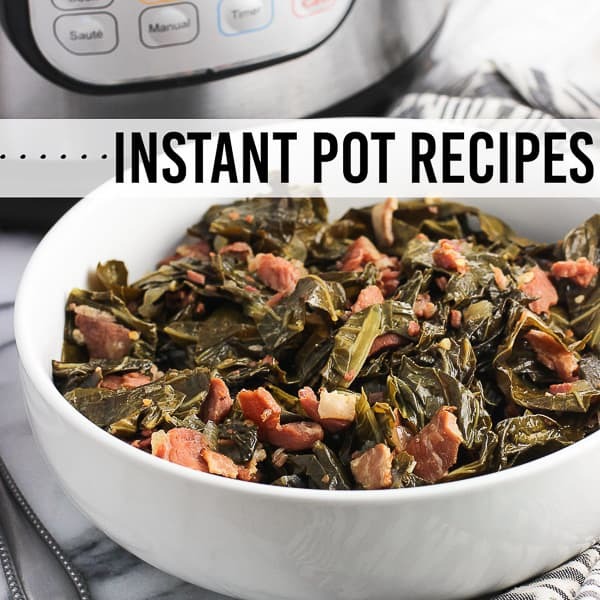 Let it sit at room temperature for a short period of time to warm up a bit before proceeding. Keep in mind that the nutritional info is for one whole lava cake. We like to share one after a nice meal, so if doing so, cut the nutritional info in half.